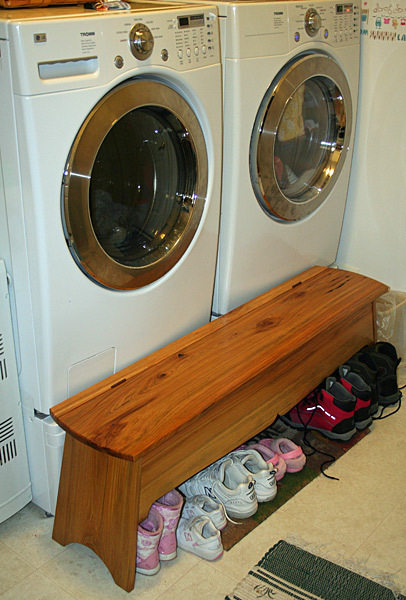 Our main entry to the house from the garage also serves as a laundry room and a mud room. It is not very large, and with two young girls we often have quite a traffic jam in there when we come into the house. Compound that with scads of shoes and all manner of winter gloves, hats, scarves, etc, and the tiny room gets pushed past its limits. I thought we had the opportunity to improve on many of those issues by building a sitting bench for the room. 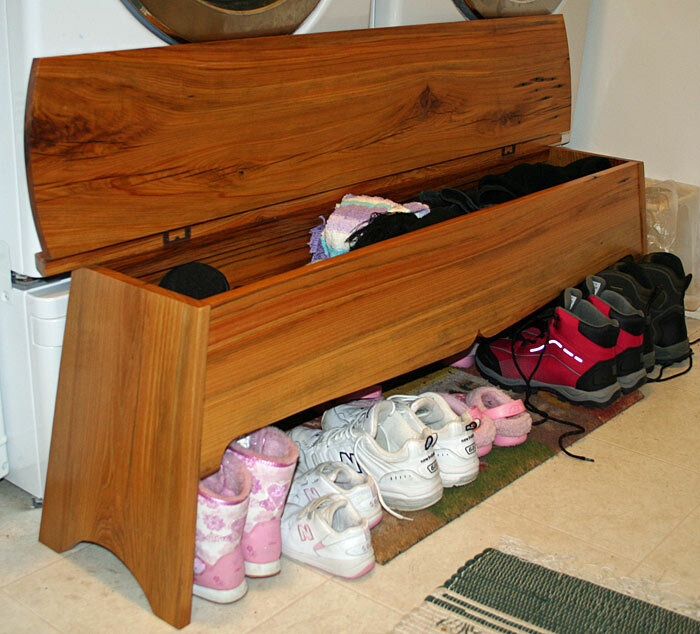 That would allow us a place to sit and put on or take off shoes, a place to store shoes underneath, and it could be built with a storage bin for winter accessories. The bench needed to be moved occasionally by my wife to access storage behind it, so it couldn't be a heavy wood. I've had a stash of cypress on the wood racks for a few years that seemed to be a good fit. It's lightweight but plenty strong for this bench, and it has a great apearance with a simple oil-based finish. The cypress was actually used for decades outside in a ruhbarb garden, so it shows lots of "character" (aka worm/nail holes, checks, cracks, splits, etc). 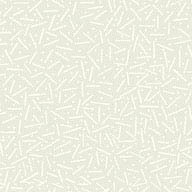 The design is completely my own, and much like many of my projects over the past few years it was drawn in Google Sketchup. I'm happy with the curves on the top and end legs and the simple scroll cutout on the front apron. The end pieces and the front aprons are all skewed off vertical for appearance and more importantly for stability and strength. This thing is rock solid. The top is hinged and flips up to reveal a large storage area beneath that's already full of all sorts of stuff. I was concerned at first that real estate lost to the bench would be more of a hindrance than a help, but after a few months of hard winter-time use it's definately a welcome addition. 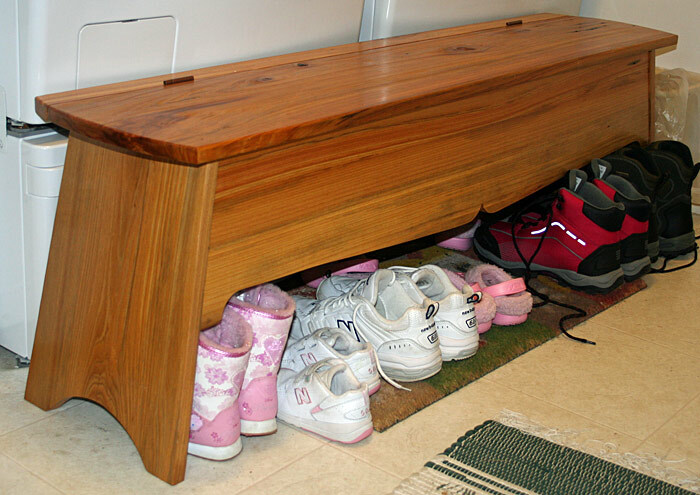 It's a great place to put on or take of shoes/boots, it has enough room for several family members to use together, it stores a bunch of stuff, and it keeps a small fraction of the family shoes out of the way under the bench. Sherri has even grown fond of using it as an aid to moving clothes between the washer and dryer and laundry baskets. Not bad foor a quick utility project.